We are delighted that Blue Heart has successfully applied for a grant to develop a new piece as part of the 2016 celebrations. 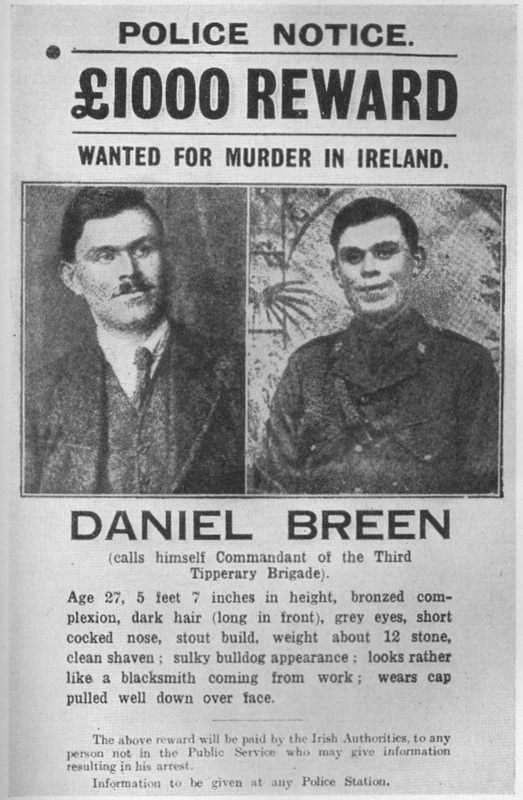 'Mrs Toomey's House' will tell the tale of one of the many woman caught up in the rising from the rising, who took wounded strangers into their home and nursed them, including in Mrs. Toomey's case, the fierce rebel, Dan Breen. It will be taking place in a site specific venue in Phibsborough next year. 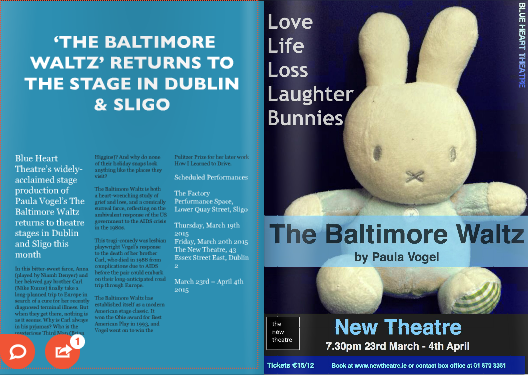 Blue Heart's creative producer, Sean Denyer was selected to participate in Dublin Theatre Festival's Next stage programme which allows those participating to see all the shows in the Festival and participate in workshops and discussions with the theatre makers. Sean said, "It was an amazing and exhausting experience and I would advise any theatre practitioner to apply. I learned a huge amount and it was a privilege to take part in workshops with people like Louise Lowe, Thomas Ostermeir and Mikel Murfi as well as see some of the best Irish and International theatre. 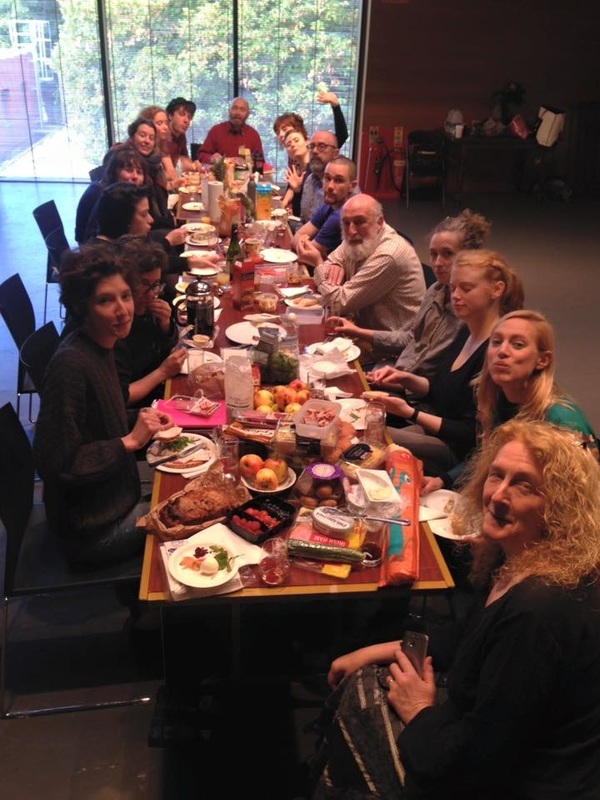 Perhaps best of all was the chance to get to know a wonderful group of theatre makers and practitioners- a network which will stay with me long past this brilliant programme". 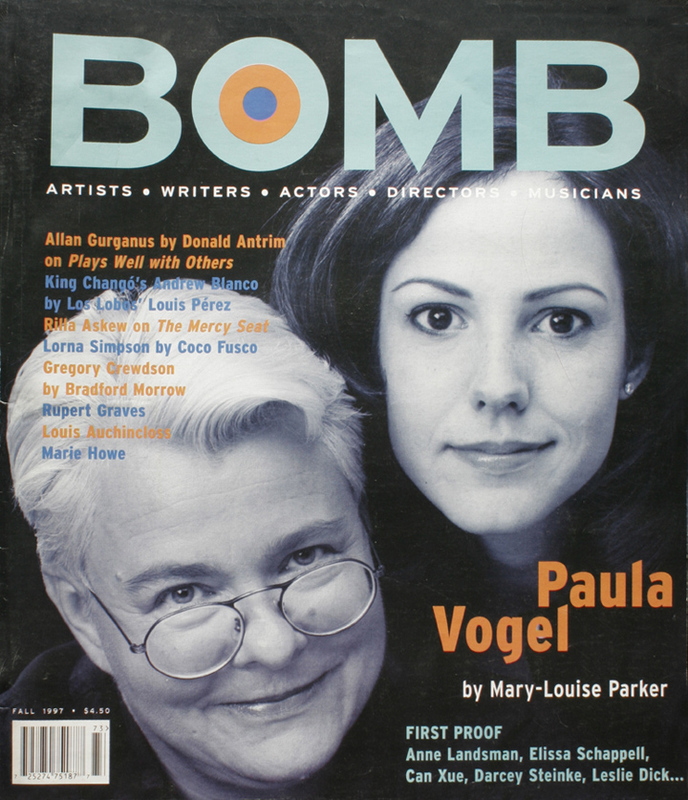 Check out this fantastic interview that Paula Vogel, the writer of The Baltimore Waltz, did with the actress Mary-Louise Parker (star of Weeds and Angels in America), who appeared in her Pulitzer Prize winning, 'How I Learned to Drive'. Not only does Paula speak of her love for actors and their gifts to her scripts, but she goes into some of her inspirations for the The Baltimore Waltz, including the short story that influenced its unique construction! A fascinating read that provides insights into not only The Baltimore Waltz but Vogel's career as well, this is an enlightening interview for theatre lovers and experts alike! Read it here.